these are factory barrels I have refinished not sure what gasblock fits the short ones? CharlieDeltaJuliet, fatmat27 and sabre675 like this. 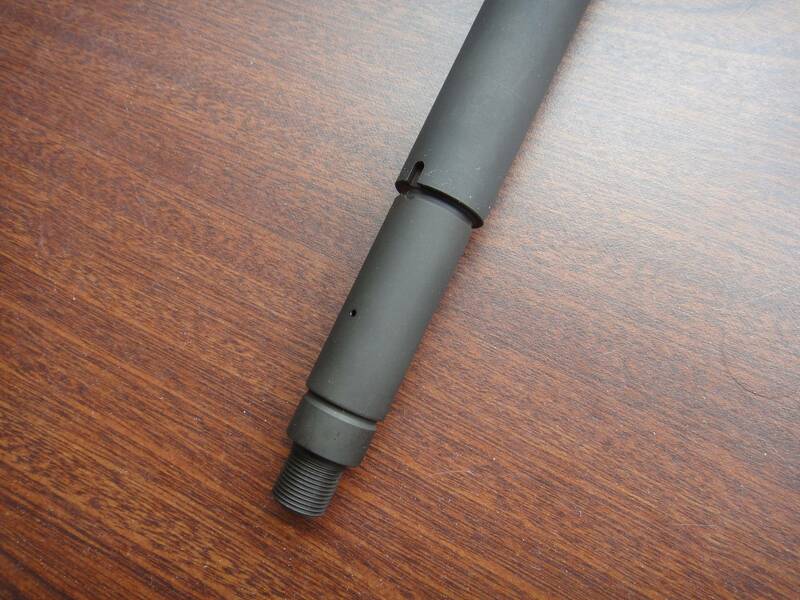 If I’m not mistaken the 10.4” take a .035” front vent gas block with a 1.6m barrel port. We need confirmation. @InshallahTech , can you help here? Last edited by RegularGuy461969; 03-23-2019 at 09:36 PM. What length are they from the breach face? just a skosh over 10.5"
Those barrel's were mine that you refinished for me, along with a gas block and a loose barrel nut that was also part of one of the barrels. Really BEAUTIFUL BEAUTIFUL work (The BEST) in my opinion! I even had a thread years back after the work was done. Here's a pic with the gas block and barrel nut, you also milled the sling loops off and did the same finish for it as well. 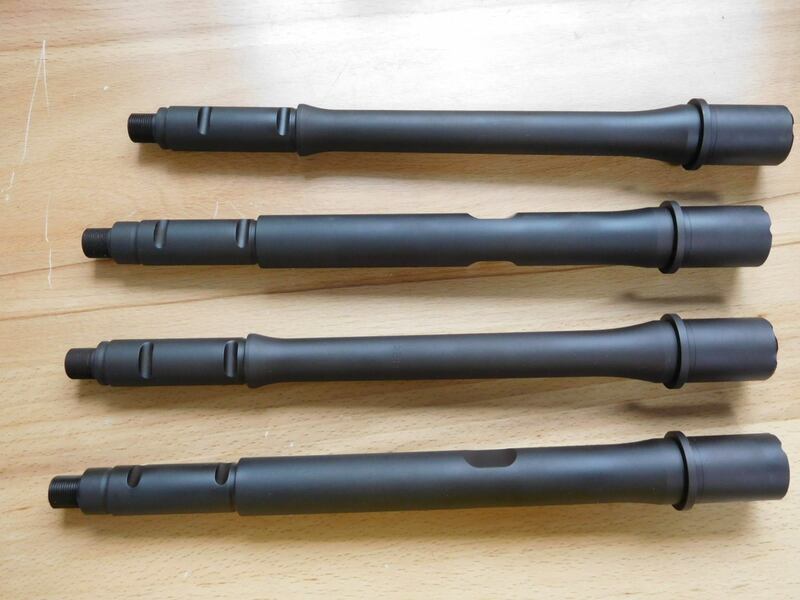 These heavy barrel's were HK's earlier style where the tapering / chemfer behind the threads is a bit different from the ones most commonly seen out there, where the tapering matches the lite pro barrels. 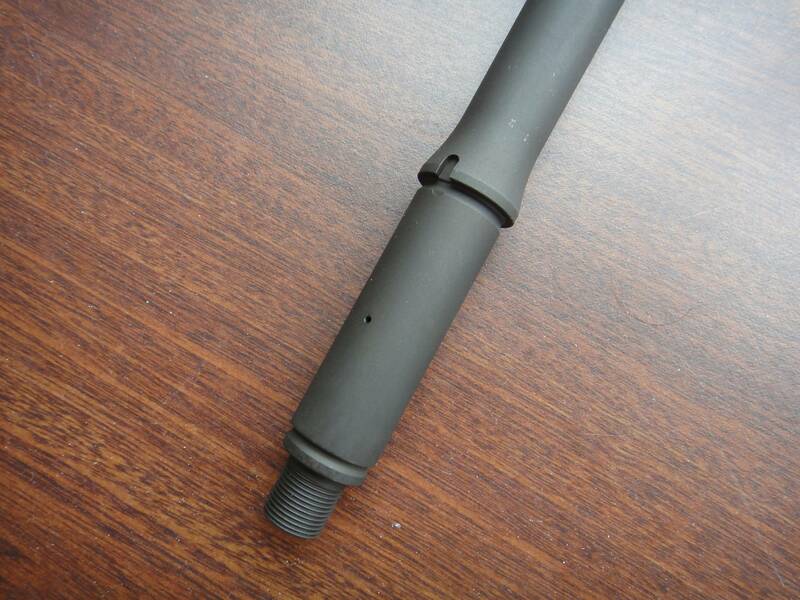 HK also did that same tapering / chamfer behind the threads like on the lite pro's to the later heavy barrels. Also the gas blocks on those earlier heavy barrels used a different cast / forge from the later ones, but the hole size were all the same up until they started using those vented blocks I believe is when things changed. Last edited by intz2nu; 03-24-2019 at 02:17 PM. do you have any pictures of the gas blocks? Is it ok if I still call them 10.4” barrels? So if I wanted to cut down an MR556 to 10.4'' specs what difference is there if you are installing a 10" vented gas block to non-vented? Hmmmm....this makes me wonder how GEMTECH measures. 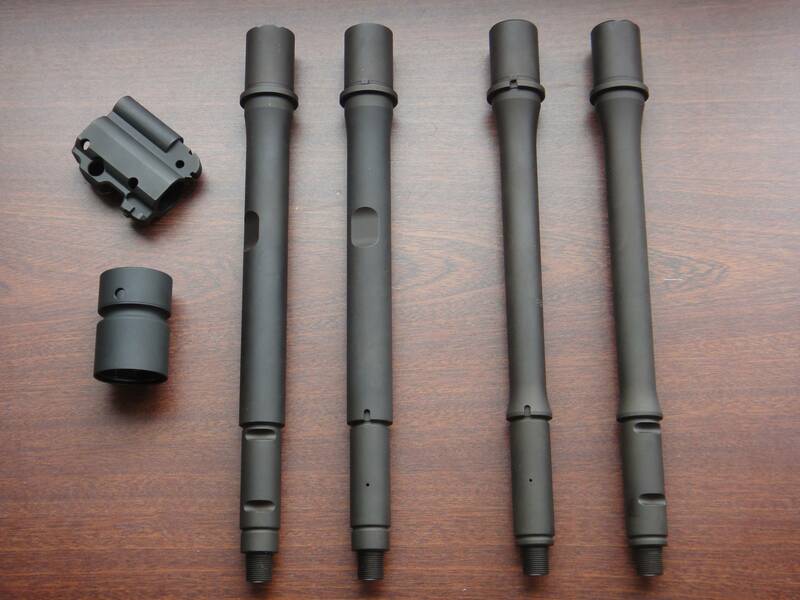 I say this because I have a TREK that I want to use but I have refrained because GEMTECH says they will not do warranty work on their suppressors if they are used on BBL lengths under 10.5". I guess I could ask them but I am pretty sure they would side with caution and say it is a no go because 416s are known for the 10.4" measurement. Any thoughts? Last edited by MSOGDAWG; 03-26-2019 at 12:14 AM.